Although the City of San Clemente has significantly less crime than most cities, we at San Clemente Self Storage have taken extra steps to protect your items with our modern security system. Even though these security features go a long way, we also require that all of our new tenants secure their storage unit with their own disc lock due to the enhanced protection that disc locks offer. 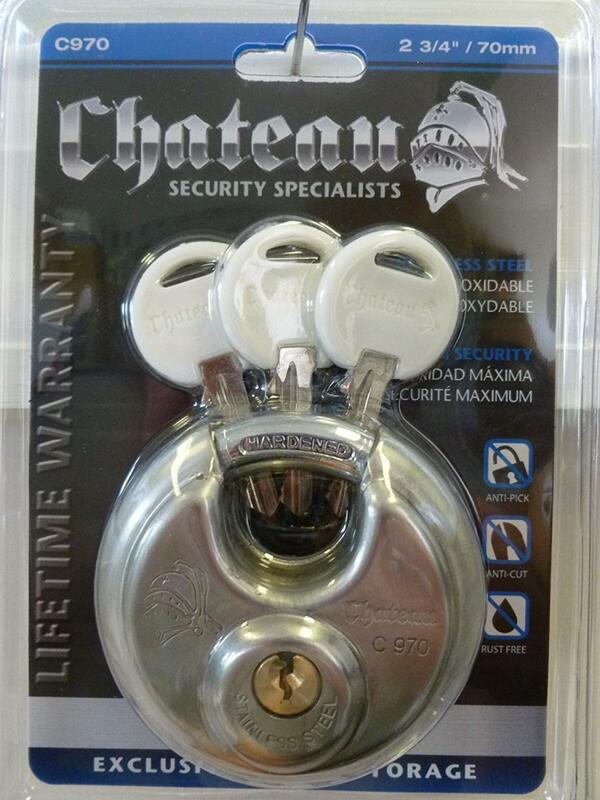 It just makes smart sense for you to use a quality self storage lock for your storage unit. Disc locks are a significant upgrade over padlocks. Unlike padlocks, the shackle of a disc lock is securely housed inside the body of the lock where bolt cutters cannot go. Disc locks also cannot be opened by a hammer, as can happen to padlocks. Disc locks come in two forms: combination or key. For your convenience, San Clemente Self Storage sells both key and combination disc locks, as well as other helpful storage supplies. By requiring that all new tenant use disc locks, San Clemente Self Storage strives for safety and security. Before you put your disc lock on your storage unit, you will want to make sure you have your items stored safely in quality boxes. If you are thinking about heading to the local grocery store to find some used boxes, you should first check out the storage tip on "Used Boxes: The Perils". For more information about disc locks and other moving supplies, please call us at 949-366-1133. Or, better yet, come visit San Clemente Self Storage. Our friendly staff will show you our extensive inventory of supplies as well as give you a tour of our facility. If you have any questions, please give us a call at 949-366-1133 or come by and see us. We look forward to meeting you and helping with your storage needs.